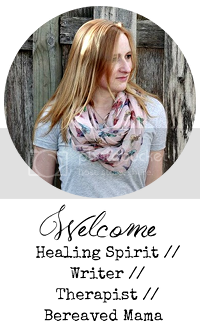 Today I am so excited to welcome Stephanie Dyer from Beyond Words Design. Lindsey: Stephanie I am honored to be interviewing you today as an Inspirational Bereaved Parent. I came across your writing on Still Standing and then your artwork at Beyond Words Designs. Your beautiful paintings are what drew me in. They are powerful and so full of maternal beauty in some pieces while conveying loss without words in others. Your painting is truly a gift. Stephanie: I am just so humbled that you wanted to interview me. The web is a really big place, and I love it when people go beyond just looking at my art and actually reach out to me! Lindsey: Unfortunately, I am guessing the pieces that depict a mother's grief come from your own devastating experience of being told at 24 weeks that your daughter Amelia had Turner's Syndrome and then against all odds, she survived until 40 weeks gestation only to be stillborn. After her death you spent time sharing your grief with your husband and children and now say that you have "discovered joy again by doing good in Amelia's name and creating art that celebrates life and honors loss." When did you notice your artwork begin to transform your grief into healing? Stephanie: Lindsey, you are right . . . my work does come from my own grief journey. When we received Amelia's diagnosis, I needed something to anchor me in the middle of all the ‘crazy' I was feeling. 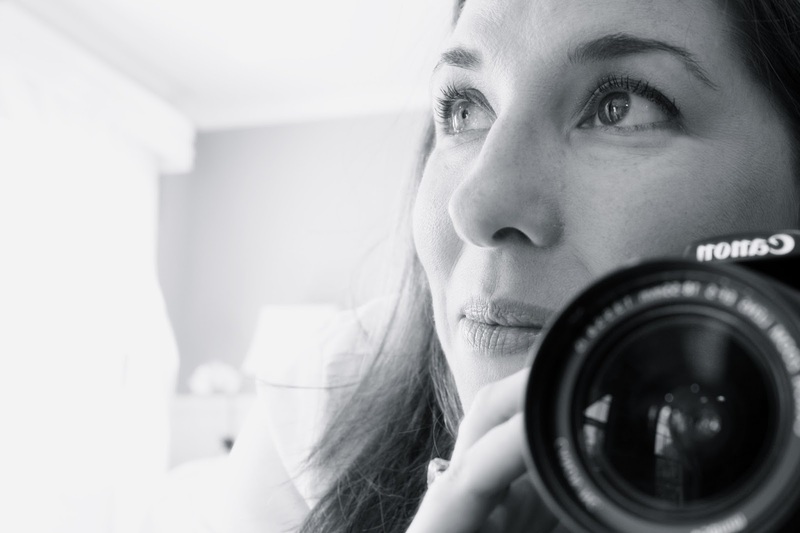 I found my online community, but desperately wanted to be a part of something bigger. I wanted Amelia's life to be ~ for lack of a better word ~ more. I wanted to keep her alive and share her story with others. I was hungry for a way to be a part of the loss community in my own unique way. And it really just all developed organically from there. I spent my pregnancy making memories of her, planning for her birth and funeral all at the same time. I was all consumed. Painting helped level me out. It gave me a place to be just a mommy who was trying to enjoy the life still alive inside her while at the same time, trying to wrap my head around the reality that she would die. Each piece I worked on represented a moment in time together, sort of like a visual time line. After her death, my painting helped pull me from the edge. Grief was is all consuming, and when I stepped into my studio ~ to create ~ I got to be in this other world for a bit . . . a world in which I let my creativity take over. And as a result, the work became a lifeline for me in many ways. Lindsey: That's so beautifully said. 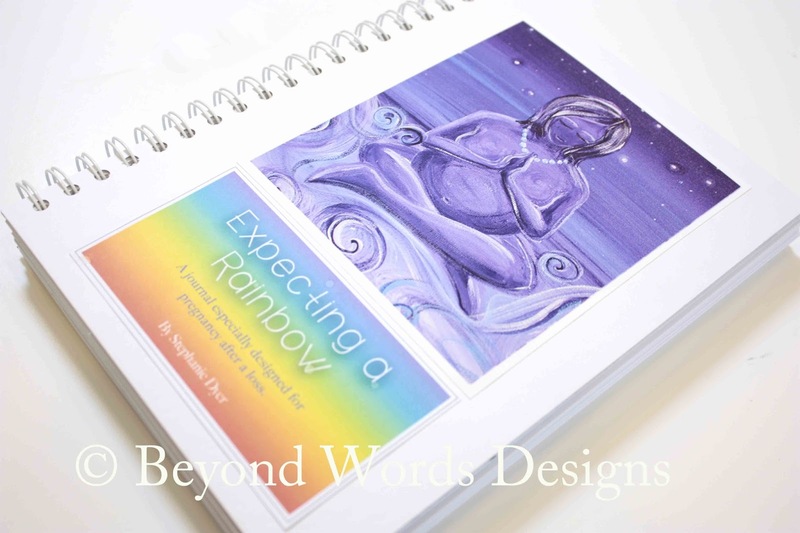 So, you create beautiful journals for other bereaved mothers who have experienced a stillbirth, miscarriage, and even those journeying into their next pregnancy after a loss. 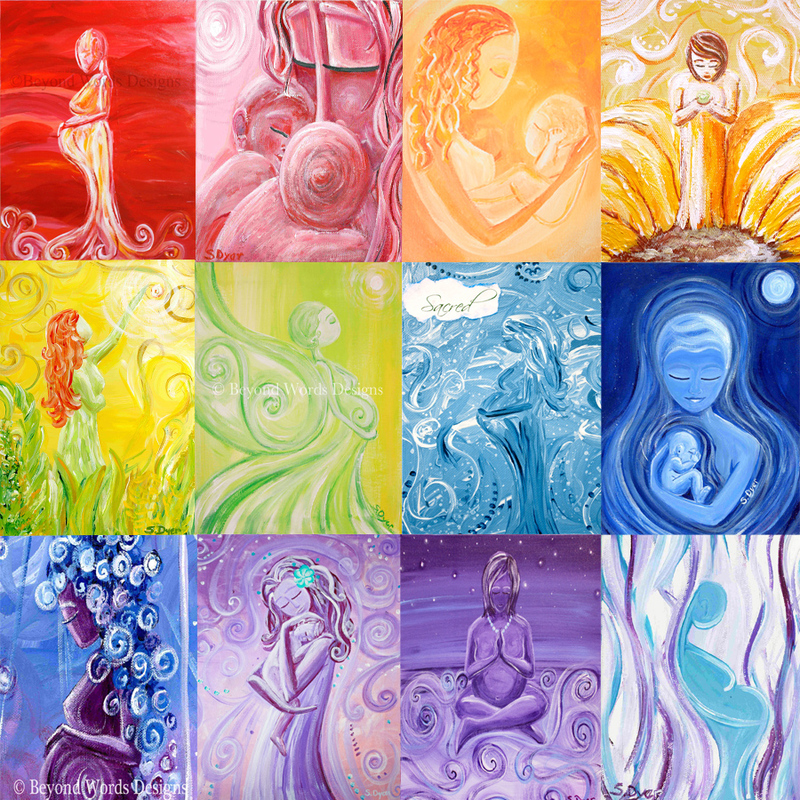 You do this by using your artwork combined with your Social Work background to create a healing experience for mothers. (I absolutely love these journals). 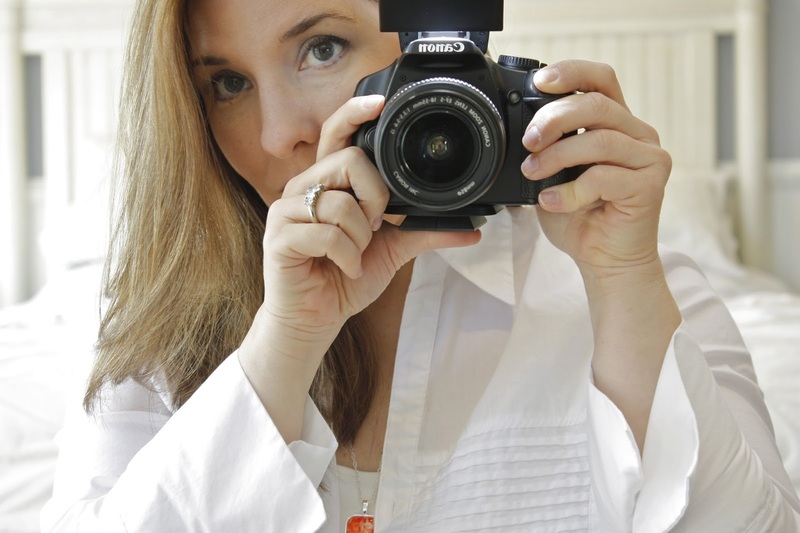 How did you know you were ready to create something to help others heal from your own grief? Stephanie: Wow, that is such a great question. I never really know if I am ready to share something ~ I just put it out there. Amelia taught me to be brave. Her short life helped me realize that I was not living mine fully. And even in the darkest times (and believe me there are still dark times), I have a choice. A choice to share myself or not. And most of the time, what I choose to share (a blog post, an art image, journals) is well received because there are so many loss families out there that can identify with what I create. The journal series was created out of my own desperate need to fill a void. I was pregnant with my first rainbow baby (Silas), and walking around in this haze of grief. I was full of hormones, still in deep endless pain, yet pregnant with a new life. I wanted to feel hope again, to enjoy the pregnancy and the new person who was growing inside me. But instead, all I felt was guilt and anxiety tempered with a healthy dose of pessimism about the entire pregnancy. In addition, we were dealing with being unemployed and having our world crash down around us. It was horrible. Every time I wrote on my blog, I felt like all I was capable of expressing was bleakness, darkness, hopelessness, and pain. I grew tired of publicly sharing my hurt and getting little feedback on my blog, so I decided I would write privately ~ in a journal. Yet, when I went to the book store with the intention of getting one, all I found were pregnancy journals with no real depth to them. You know the ones I mean, where all you get is a cartoon drawing of this little cupid looking baby, or worse ~ a pregnant barbie look-a-like, that drips of blind optimism, full of pages for shower gifts and how much weight you gain. None of these journals came close to what I needed. Not one had room for my miscarried baby or Amelia. 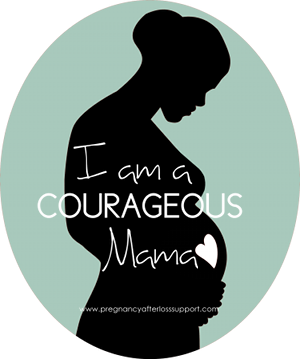 None had space for the reality of pregnancy after loss or gave me permission to express the harder feelings I was having. So, I decided to make my own. It was just a natural choice to use my own art and tap into my ‘therapeutic' days as well as my own experiences. It just worked. And once I had the prototype ~ I was so happy ~ I had to share it. Lindsey: You also created the Donate Art project that supplies art and resources to hospital memory boxes, reassuring women in their darkest hour that they are not alone. 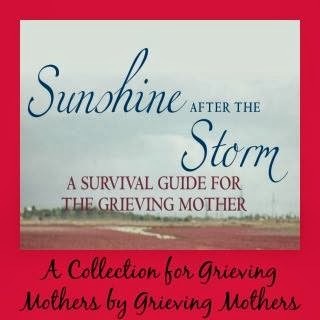 Does it help your healing to know you are helping other bereaved mothers in their healing journey? Do you think this is a needed part of your healing process? Stephanie: Yes, absolutely it makes me feel that somehow my pain has a purpose ~ and I don't say that lightly. I am the first one to yell out "NO WAY, there is no consolation prize for my daughter's death, no silver lining." Yet, the reality is that I do feel that by sharing Art Cards, by sharing some of the best and most current online resources (which most hospitals don't know about) I am letting another family know that they are not alone. Something I wish I had that when I left the hospital without Amelia. Lindsey: I wish I had something like that too. Finally, what advice do you have for newly bereaved parents or others looking to find something positive to do with their grief? Stephanie: I was always taught to leave the world a better place than you find it. And that is all I am trying to do with my artwork. Doing good in your child's name is like a bit of a balm on a deep wound. It won't heal it, but it can sooth it a bit. Every time I get a message from a grieving parent about how my work has helped or inspired them, it helps my own pain a little. I would also tell a newly bereaved parent to follow their heart, but make sure that they are not re-inventing the wheel. There are some amazing things being done in the loss community in recent years ~ and so many things have yet to be invented, created and shared. Everything in the loss community was conceived by a loss parent and we each do what we do in honor of our children. Feelings can be easily hurt and that doesn't have to happen. If you are driven to do something similar to another creative loss parent, just be sure to reach out to them first. Everyone has a voice, a purpose and mission and most are thrilled to share the journey for greater good. So, be bold in the name of your child and do something amazing for other people. Lindsey: Thank you Stephanie for sharing your grief transformation story along with pieces of your artwork with us today. Stephanie: Lindsey, thank you for seeing what I do and thinking enough of it to share your space with me. It is a real honor for me. You can find Stephanie's healing journals along with her beautiful artwork depicting loss and life at Beyond Words Designs. Here you can follow her blog and visit her shop. (She has super cool iphone cases. I got my eye on one.) Stephanie also is a monthly contributor to Still Standing Magazine and runs the Donate Art project which adds healing art and resources to memory boxes.